The fifth annual California Roots Music and Arts Festival is happening in Monterey, California for the entire Memorial Day weekend, and it is sure to draw attention with its phenomenal lineup, artsy environment, and getaways at nearby hotels, camping sites, and neighborhood cities. 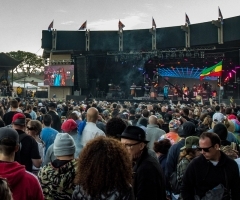 With all days sold-out last year, this Cali’ Roots Fest, as it is also known, will surely sell out again as Top Shelf Reggae believes it is the most sought-after festival in California! The festival features live art and 48 reggae and rock bands on three stages- with one of those stages used by such legendary bands and musicians as Jimi Hendrix, Janis Joplin, and most recently, Mumford and Sons. With some of reggae’s most-influential and current artists, such as Damian “Jr. Gong” Marley, Ziggy Marley, Steel Pulse, Alborosie, 311, and SOJA, this festival is sure to please any and all heavy-hitter fans! 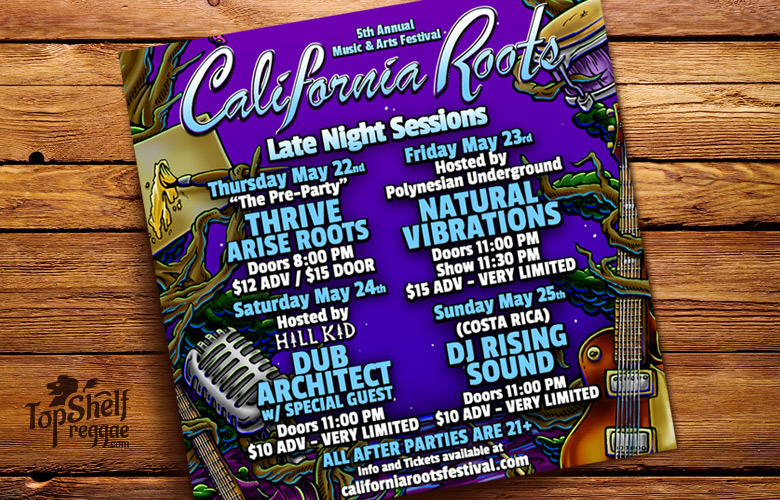 The Cali’ Roots Fest features music on Friday, Saturday, and Sunday, and gives you time to recover from all the good vibes on Monday- Memorial Day- a great day to remember good souls who fought for this great country! 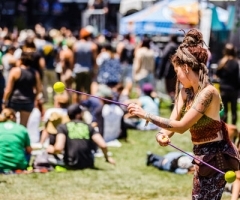 This well-organized festival has your entire weekend covered, and it starts early- on Friday- with some nice California music from such bands as The Stircrazies, The Simpkin Project, and The Expanders, and ending the night with Steel Pulse and SOJA. 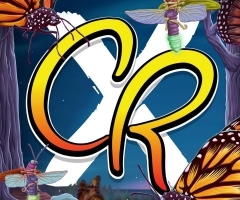 Camp out, or visit surrounding areas and head back Saturday to catch Ziggy Marley, Alborosie, and Rebelution, as well as some other well-known bands! Finish the weekend with The Green, 311, Pepper, and Damian “Jr. Gong” Marley, and let the musical weekend take you away, get you home safely, and have you crave even more irie music! There are some changes this year to the event! Camping is available at the Mazda Raceway Laguna Seca Campgrounds for tent and RV camping, and a shuttle will be operating from 9AM-1AM each day. The current cost for camping per day starts at $35, and a shuttle pass has three day options starting at $40 for all three days! (Not bad for NOT getting a D.U.I. in the great State of California!) Parking will also cost festival-goers as it is being offered at Monterey Peninsula College with shuttle service as well. The three day parking passes are currently on sale for $80, with parking starting at 4pm on Friday, and two-day and single day passes also available. Such information can be found on the California Roots Festival website, under the FAQs section, including camping information and even a link to hotel information. For those 21 and up and planning to party even harder, the people of California Roots have teamed up to bring you more live music at Planet Gemini, a venue located across the fairgrounds. It all starts on Thursday night with a pre-party featuring Thrive and Arise Roots, and also featuring such bands as Natural Vibrations and Dub Architect the next couple of nights. We've compiled a list of nearby eateries serving up the best breakfasts and brunches in town within a reasonable distance. Top Shelf Reggae recommends having lunch and dinner within the festival grounds, because who wants to miss a performance? Downtime between sets can be very minimal. If roughing it under the stars isn't your thing (and sometimes we can't blame you), here is a list of recommended California Roots hotels that are situated less than a mile away from the fairgrounds. Availability is not guaranteed and rooms are filling up fast, so please make sure to call in advance to check. 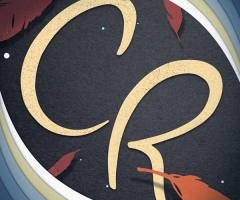 The California Roots Music and Arts Festival is one-in-its-kind because it brings reggae/rock musicians from all over, and gives each one an opportunity to shine among the coast of the beautiful California atmosphere! With the event happening on the holiday weekend of May 23-25th, many music fans are gonna pack up and head out to the Monterey County Fair and Events Center for the great-vibes that is the California Roots Music and Arts Festival- offering music from some of the greatest bands and artists in the scene. For more information, check out the California Roots Festival website or contact them by following this link.